Customer experience is foundational to the success of your organization. As a customer experience expert, and as a customer myself, I have seen my fair share of customer experiences ranging from exceptional to downright disturbing. Check out Sometimes Truth is Stranger than Fiction and Is Your Customer Focused Language Important? for more about interesting customer service experiences. One thing that is no surprise is that industry-leading organizations are often recognized for providing great service and creating memorable customer experiences. They put the time and resources into ensuring they have knowledgeable team members who are friendly and ready to help. Plus, they are skilled at providing great after-sale service to further the relationship customers have with their organization/brand. What is the key to their success in providing a great customer experience? Great leadership. Great leadership helps establish great customer service. Effective leadership inspires engaged teams, and engaged teams create memorable customer experiences that drive loyalty and repeat purchase. There is no question that leadership sets the tone of everything that happens. Weak leadership has a trickle-down effect on your team and organizational culture. When there is a disconnect between leadership and people in the organization — especially those who are in direct contact with customers — it usually results in a negative impact on customer experience. 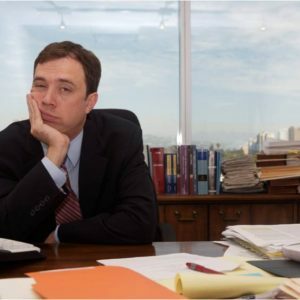 Weak leadership is demotivating and leads to lower employee engagement: When leaders don’t inspire their teams, people are disengaged and more likely to just go through the motions and put in minimal effort. Lower employee engagement leads to lower quality customer experience: When your team is not engaged and only putting in minimal effort, the quality of your customer service will suffer. Low quality customer experience impacts customer loyalty: When your quality of customer experience suffers, your customer loyalty will be impacted. When customers have a negative experience or even an experience that falls short of their expectations, it can result in lost sales, negative reviews, and the inability to nurture long term relationships with your customers. Having an organization of engaged employees will have a direct impact on your ability to provide great service to your customers, and this starts with leadership. A transformative leader has the ability to engage and inspire, create a positive organizational culture, and positively impact a person’s passion for the organization where they work. Check out 8 Emotional Drivers of Employee Engagement for more on how to engage your team. When people buy in and are happy with their positions, they become inspired and more willing to go the extra mile to create a memorable customer experience. This creates a win-win situation. Your organization has happy and engaged team members, and your customers are receiving a great experience when they engage with your organization. An inspired team who work hard to create great customer experiences not only has a positive impact on your bottom line today, it also plants the seeds for success in the future. These are three very important customer service goals that all organizations are striving to achieve and help to create customer experience that drives results. For more information about having Bill speak about how leadership can impact customer loyalty at your next event, visit Kickass Keynotes. ARE YOU READY TO EXCELERATE YOUR LEADERSHIP ADVANTAGE AND BUILD A HIGHER PERFORMING WORK ENVIRONMENT?